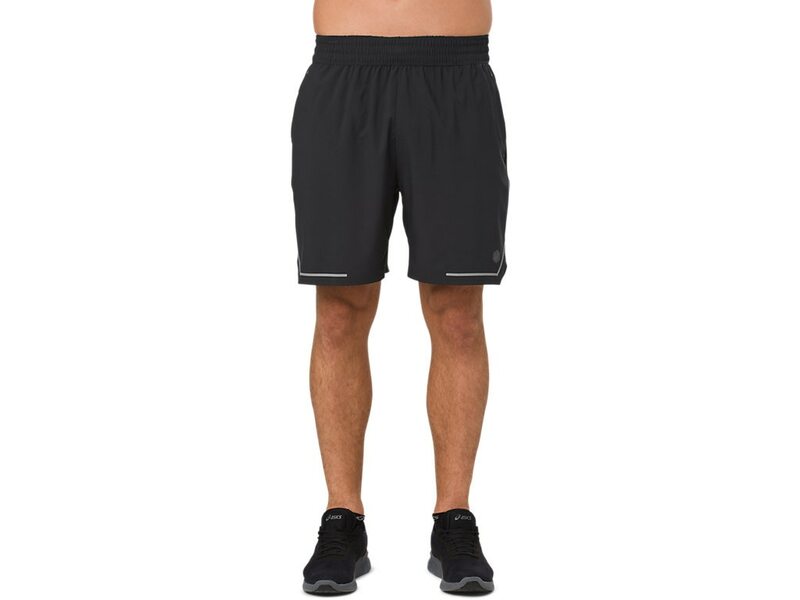 Each stride is effortless in these running shorts for men. Ideal for layering, the regular fit and 7-inch in seam create a comfortable fit while the mesh fabric boxer offers support, and two clean finish hand pockets and laminated inner storage pockets hold your long run essentials and smaller items. ASICS quick drying fabric offers exceptional breathability and comfort to keep you cool and comfortable as you rack up the kilometers and hit your personal best. Laser cut detail on the back provides added ventilation while the clean finish ergonomic hem adds stylish element to the shorts. An integrated draw cord provides adjustability and reflective bar detailing on the back leg for 360° visibility, and reflective ASICS spiral logo detail provide 360° visibility when your runs take you past sunset.